commented on "Burning Feet Syndrome - many causes - sometimes surgical ..."
Burning feet syndrome-many causes-sometimes surgical. Burning feet syndrome (BFS) is also known as Grierson-Gopalan syndrome.Patients with BFS may variously present or be sent to to GPs,Neurologists,Neurosurgeon,Orthopaedists and Podiatrists with a spectrum of symptoms and the cause is usually obscure.J.Grierson in 1826 was the first to publish on this syndrome("On the burning feet of natives" in Calcutta.1826).C Gopalan detailed the condition further in 1946 (The "burning feet syndrome".Indian Medical Gazette,Calcutta in JAMA, 1946)-hence BFS became known as Grierson-Gopalan syndrome. The condition is characterised by varying degrees of burning,aching,'heaviness' and often 'pins and needles' sensations in the soles of the feet.The symptoms may extend to the ankles, or even the lower legs.Some patients have vasomotor changes and excessive sweating usually without accompanying erythema. The symptoms are worse at night and abate in the morning.It is more common in women over the age of 50 and patients describe "walking on hot coal".Visual symptoms including amblyopia and scotoma are also described in the literature (vitamin B deficiency-see below)..
Clinical examination may or may not be helpful depending on the cause for the particular case of BFS. In erythromelalgia there may be erythema and warmth, in fungal infection the typical cutaneous signs of infection and in a neuropathy absent vibration sense,proprioception and reflexes etc.It is the cause for the BFS which is often difficult to determine-but important in order to exclude serious illness and provide effective treatment.Most cases are managed by a patient's GP and/ Neurologist-it is rarely a surgical condition. (i) Nutritional-Vitamin B group deficiency incuding riboflavin,nicotinic acid,thiamin,B12 and pridoxine.It is thought that there is a build-up of metabolites due to deficiency and a lowering of sensory nerve endings thresholds causing the "burning sensations"..Alcoholism and patients on chronic haemodialysis are thought to develop BFS through this mechanism(Makkar et al,Australian Family Physician,2002).Nutritionally deficient patients may develop BFS after 4-5 months of dietary deficiency.Pellagra rash or scrotal dermatitis may precede the BFS.Optic neuritis may complicate the pictue-scotomata etc.Heart failure may occur as well. (ii) Metabolic or Endocrine-Diabetics may develop BFS from a small or autonomic fibre neuropathy,particularly unmyelinated-C-fibres.The symptoms of BFS may curiously precede the signs of a neuropathy e.g. loss vibration sense and single fibre sensibilty etc.Hypothyroidism is another cause.Heavy metal exposure is described as a rare cause -also magnesium and potassium level disorder may be causative..
(iii) Hereditary-This is rare but autosomal dominant inheritance is described.Stogbauer et al descibed 68 kindred in a German family(1999)and were diagnosed with a hereditary sensory and autonomic neuropathy.Symptoms appeared in the ages 20-40 and interestingly there was a paucity of neurological abnormalities on examination.Minor electrical study findings were only apparent in 2 patients.There are also other genetic variants causing inherited BFS but this family was unique and well studied- biopsies of sural nerves were consistent with a primary sensory neuropathy with marked loss of unmyelinated fibres.Charcot -Marie Tooth disease is a rare cause. (iv) Mechanical-Fallen arches, Tarsal Tunnel syndrome (TTS-see my other news item on TTS),rheumatoid arthritis, sciatic mononeuropathy, spinal AVMs have also been described as presenting with BFS(Galer and Sethi). (v) Miscellaneous- Erythromelalgia due to diabetes, collagen vascular disease,myeloproliferative disorders such as thrombocytosis or polycythaemia vera,Leishmaniasis, carnitie deficiency, Gitelman syndrome(a rare renal tubular disorder) and multiple scerosis are descibed. (Makkar et al,AFP 2002).HIV is also described as a cause.Fungal infection or so-called atheletes foot is a cause.Chemotherapy e.g. cisplatin etc (and other drugs such as chloroquine) may cause a neuropathic BFS.Manifestations of psychosomatic disturbance is usually associated with unusual cases.(rare). (vi) Idiopathic- In many (some authors and clinicians say" most ") case-no firm, objective causation for BFS is established.The degree of this may depend on the patient population seen or the intensity of investigation.An older diabetic or alcoholic population will yield a lower 'idiopathic rate' than a contrary cohort. Patients present, or are sent to GPs, Orthopaedic surgeons, Neurosurgeons, Neurologists ,Vascular surgeons and Podiatrists with varying degree of distressing , usual nocturnal BFS symptoms and often normal clinical examination.The clinician is faced with no abnormality despite severe symptoms.Some patients regrettably end up having spinal surgery for asymptomatic and incidental spinal stenosis and associated neurology.Spinal stenosis and minor electrical study abnormalities are ubiquitous, if not universal in humans and careful assessment of co-existent true sciatica or true painful radiculopathy is required by an experienced clinician. It is a condition that is often not considered or dismissed as a" minor and common" ailment.however, as discussed above ,it can be due to, or precede serious medical conditions and requires investigation by the GP and neurologist to attempt to define the cause and provide specific treatment, if possible.General measures such as comfortable shoes,supports, cotton socks, cold water foot soaks,TCAs and neuropathic agents may be tried BUT formal medical assessment is strongly advised including physically carefully examining the patient; consider ordering inter alia- FBC, MBA,HbA1c, CRP,ESR,urine analysis,TSH,Vitamin B levels and markers,Mg, HIV (if concerns),and Consultation &Neurophysiology by a neurologist is also strongly advised. Rarely is it a surgical condition in my experience. Tarsal Tunnel syndrome(TTS)-see my other article on TTS) ,request for sural nerve biopsy (or the very rare true spinal causation of BFS requring surgery) are identified by the Neurologist on referral from the patient's family doctor and are then referred to either a Neurosurgeon or Orthopaedic Surgeon.Tarsal Tunnel Syndrome(TTS) is a CAUSE for BFS- it is however rare- THUS patients need investigation by their family doctor and Neurologist in the first instance before being sent to the Surgeon to investigate. 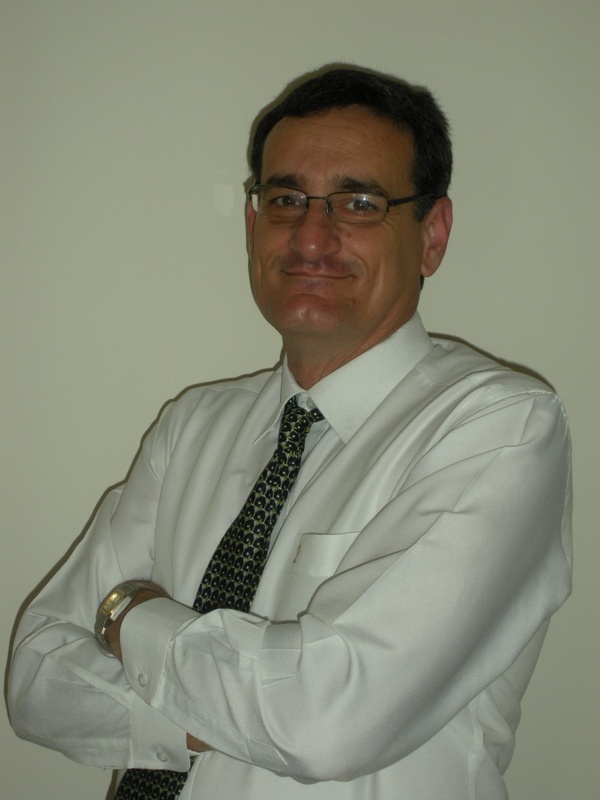 ABOUT THE AUTHOR: Dr Michael Coroneos is a senior Brisbane Neurosurgeon with MB BS(1st Class Honours) in 1980 and dual qualifications in Neurosurgery (FRACS in 1988) and Surgical Neurology (FRCS(EDIN)SN in 1989). he is a FRACS Clinical Examiner and is a Workcover Queensland PI Panel Assessor and a neurosurgical WorkCover Qld PI Panel member.advisor.He is a FRACS 1st and 2nd Line Mortality Assessor and is on a number of senior hospital medical boards.He is a full Member of both NSA and NSQ. He holds 5 Fellowships and is Assistant Professor.